Kia Motors to launch and all-electric vehicle in India soon! Kia Motors, the South Korean, Hyundai owned automobile manufacturer is in works to launch its first product in India during the second half of 2019. This all-new product, as you must be aware, is going to be a compact SUV falling in the same segment as that of the Hyundai Creta. It is based on SP Concept which we all saw at this year’s Auto Expo in Delhi. In addition to this new compact SUV, Kia has several other premium products lined for the Indian market. The South Korean automobile manufacturer plans to launch a total of 6 new vehicles in our country in a span of 48 months from the time of its first product debut. 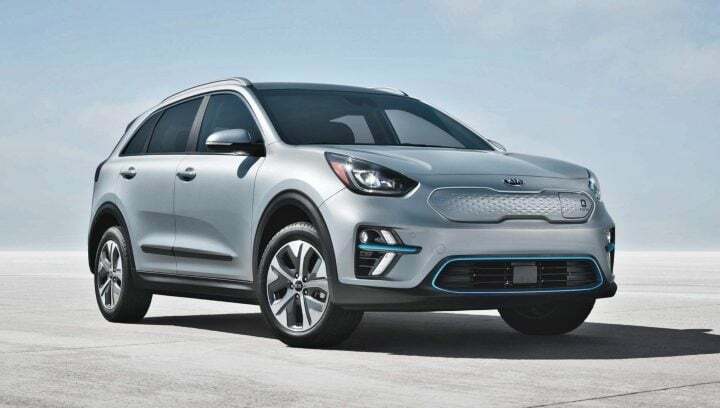 In addition to these 6 new products which will employ conventional combustion engines, Kia Motors is also under consideration to launch an all-electric vehicle in our country. The interesting thing to note here is that this zero-emission product is going to be an India specific model. Details pertaining to consumer inputs like prices, battery range and body preference has been sent by Kia Motors India to its headquarters in South Korea. The launch of this all-electric vehicle from Kia is likely to happen sometime around the year 2021. As mentioned before, by this time, the automaker had already launched a couple of conventional vehicles with combustion engines. Kia Motors sister brand Hyundai is also planning to launch an all-electric car in the Indian market. Though unlike the former which is planning to launch an India specific model, the latter will debut the Kona EV, its all-electric car currently on sale in several international markets. Apart from the South Koreans, the Japanese too have plans to launch zero-emission vehicle in India. Toyota and Suzuki have joined hand just so they can collaborate on the developments of EVs in our country. Under this collaboration, Maruti Suzuki is going to launch its first, mass-market all-electric car in India in 2020. In fact, the OEM has already commenced testing the prototype of this vehicle on Indian roads. Coming back to Kia Motors, this automobile manufacturer is having a very aggressive strategy for the Indian market. The company claims that it is going to have one the largest reach when it comes to dealerships in comparison to any other new automobile manufacturer entering in the country. The South Korean automaker has invested a huge amount of money in the development of its manufacturing facility in India. In addition to this, it already has a development centre based out of Hyderabad which focuses on developing and optimising its products for the Indian market. Also Read: Kia SP Concept SUV prices to start from INR 10 lakh!